Sitka Gear's Boreal Jacket is our warmest piece of waterfowl gear, locking you into a GORE-TEX® vault that's insulated with PrimaLoft® Down Blend Silver to give you maximum warmth with minimal layers and bulk so you have the freedom to swing and shoot. 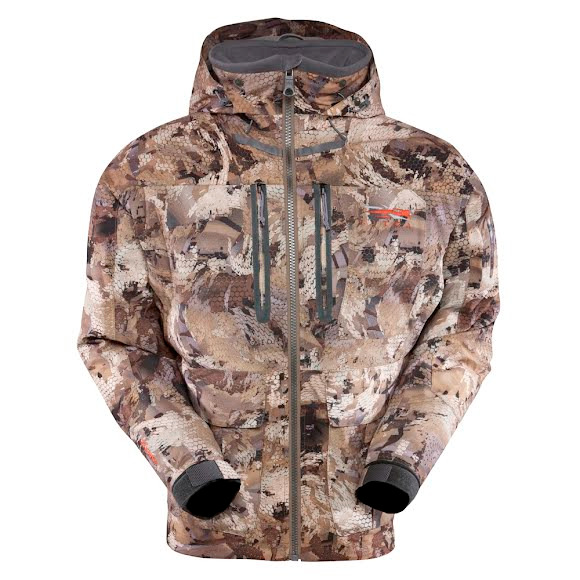 It is ideal for northern hunters facing mercilessly cold conditions. Sitka Gear&apos;s Boreal Jacket is our warmest piece of waterfowl gear, locking you into a GORE-TEX® vault that&apos;s insulated with PrimaLoft® Down Blend Silver to give you maximum warmth with minimal layers and bulk so you have the freedom to swing and shoot. It is ideal for northern hunters facing mercilessly cold conditions. Ounce for ounce, down is warmer than any synthetic material, and with proper care, it will last a lifetime. All zippers are welded and watertight. Two chest pockets, two shell pockets and two magnetic tuck-away call pockets keep you organized and focused on the sky. The fully adjustable hood rotates and swivels with you, so there&apos;s no impediment to your vision. The cuffs have watertight gaskets that adjust to fit your wrist, so you can submerge your hand momentarily while working with deeks without getting water up the sleeve. Wear the Boreal Jacket over low loft insulating layers like the Traverse and Core shirts for all day comfort. Down is the most efficient natural fill material available. Lightweight, compressible, and incredibly warm, down garments and sleeping bags are the gear of choice for serious backpackers and outdoorsmen.